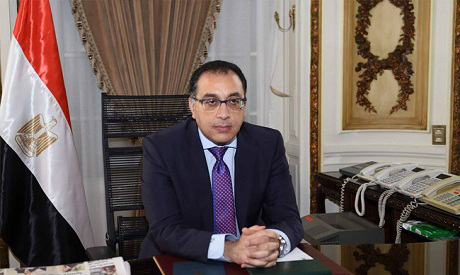 Egyptian Prime Minister Mostafa Madbouly on Tuesday asserted Egypt's keenness on fostering cooperation with the European Bank for Reconstruction and Development (EBRD) to serve the development goals in the African continent. The prime minister made the remarks at a meeting with EBRD President Suma Chakrabarti on the sidelines of the Davos Economic Forum, which kicked off earlier in the day. The prime minister expressed pleasure that Egypt has become the EBRD's largest country of operations, citing that the volume of the funding offered by the bank to the under-construction projects in the country hit $4.7 billion. For his part, the EBRD chief expressed the bank's appreciation for the growing cooperation with Egypt, praising various cooperation fields which are focusing on the sectors serving the Egyptian economy. Chakrabarti asserted the EBRD's readiness to implement development projects in the African continent, voicing the bank's keenness on holding further consultation with the Egyptian officials on this file to outline an action plan.